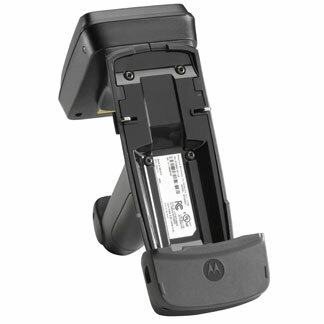 Motorola Solutions has announced the release of the new RFD5500 UHF RFID sled that can turn MC55N0, MC55A0, MC65 and MC67 mobile computers into lightweight, rugged, handheld RFID readers that deliver fast read rates and improved productivity for retail storefronts, warehouses and field applications. The easy-grip RFD5500 sled uses Motorola’s UHF RFID technology that offers good read range and coverage area. There is no need to precisely align the reader with the tag so RFID data can be quickly and accurately captured – even on the most challenging items. The RFD5500 offers a combination of intuitive audible and visual cues to quickly guide a worker to the precise location of any desired item. As the device moves closer to a specific item, a tone beeps louder and faster, while a sliding graphical bar increases in size enabling mobile workers to quickly locate any individual item. By building on the enterprise mobile computers’ bar code data capture capabilities, the RFD5500 offers dual data capture functionality in a single device. Mobile workers can locate products, read non-line-of-sight RFID data, and capture damaged and poor quality bar codes without interrupting workflows. For more details or to order a new RFD5500, contact us at BarcodesInc.